In this set of tutorials, we are going have a look at the steps required to build a CentOS-based Instance-store-backed EMI. To create image, we will need a raw HDD for the virtual machine. Use the following command to create your raw HDD. NOTE: Ideally provide at least 3-4 GB for your img file. Now that the filesystem is ready, we associated the disk image with a loopback device. Create a folder and mount the loopback device to it. NOTE: Provide tabs between each entry in the fstab file. Avoid spaces. We are now ready to install the base system in our Image. This step requires internet connectivity, however, you can do these steps without internet as well, by creating a Yum local repository as mentioned in the EARLIER TUTORIAL. 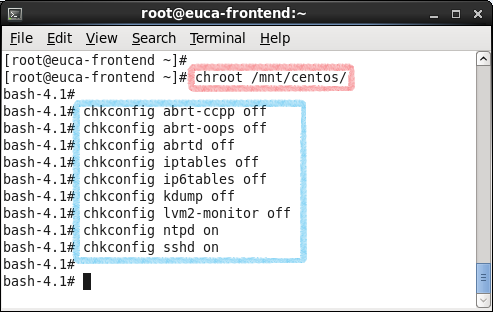 The command will install the base CentOS packages into the Image. It will take sometime for this step to complete. 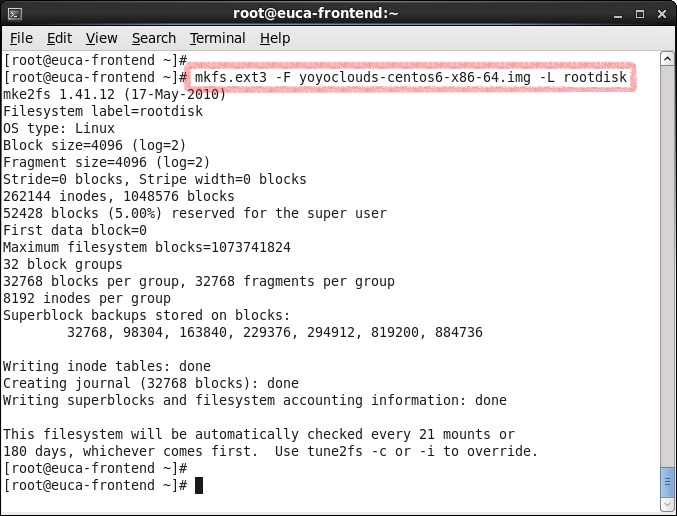 Once the base OS is installed, copy the necessary repository files from your host CentOS to your Image. 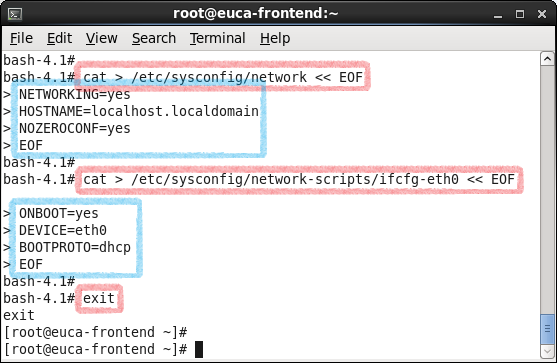 In this step, I am only copying the CentOS-Media.repo that we created in our EARLIER TUTORIAL. Once copied, you can now install any particular RPM that you wish to install in your image. Few necessary ones such as VIM, OpenSSH Server, DHClient, telnet, curl and NTP etc are good to have in your Image. You can install and configure your image with other RPMs as your requirement may specify. With this, your Image should be ready for uploading into Eucalyptus. In the next part of this series, we will look at few simple steps for uploading EMIs to Eucalyptus.. so stay tuned ! !